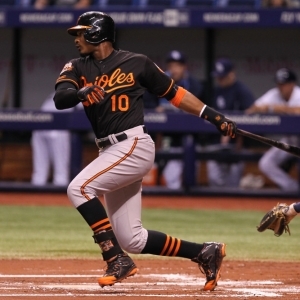 The Oakland Athletics visit Oriole Park on Monday to play the Baltimore Orioles. Sonny Gray is the probable starter for the Athletics and he'll face Chris Tillman of the Orioles. The opening line for this matchup has Oakland at +110 and Baltimore at -120. The over/under was set at 8. The Athletics, with a 56-62 run line record, cover the spread 48% of the time. They also have a 57-53 over/under record. The Orioles have a 48-60 over/under record and a 62-53 run line mark, which means they are covering the spread 54% of the time. The Athletics head into this matchup with a 51-67 record, including 24-33 on the road. Sonny Gray has an earned run average of 2.06 and is 12-4 so far on the season while having a 0.96 WHIP. In his starts, the Athletics are 15-8 over his 161.2 innings pitched this season while giving up 115 hits during those innings. His teammates are averaging 3.8 runs a game when he pitches. The bullpen has given up 312 hits on the season and have an earned run average of 4.29. The bullpen has struck out 328 and walked 112 batters this season while opposing teams hit .241 against them. Oakland has a team average of 8.12 hits allowed per game and are averaging 7.68 strikeouts per nine innings. With a team earned run average of 3.54, they are 7th in the league. Oakland ranks 18th in the league in team batting average at .251 while hitting .247 on the road. The Athletics on-base percentage sits at .310, which puts them at 18th in the league and they have a team slugging percentage of .385. With 110 hits, Billy Burns leads the team while his team ranks 14th in hits per game with 8.6. With a 36-21 home record, Baltimore will hope to improve on their 59-56 overall mark. Chris Tillman is starting this game 8-7 for the season with an earned run average of 4.66 and a WHIP of 1.37. In his starts, the Orioles are 11-10 and he has allowed 117 hits over 116 innings pitched this season. Their record against the over/under when he starts is 10-11. His teammates score an average of 5 runs a game when he pitches. The bullpen has given up 303 hits on the season and have a team earned run average of 2.72. The Orioles bullpen has struck out 361 batters and walked 129 this season while opposing teams have hit .227 against them. Baltimore has a team average of 8.52 hits per game and are averaging 7.74 strikeouts per nine innings. With a team earned run average of 3.75, they are 12th in the league. They rank 15th in the league in team batting average with a .253 average while hitting .267 at home. The Orioles on-base percentage sits at .307, which puts them at 22nd in the league and they have a team slugging percentage of .423. With 133 hits, Manny Machado leads the team while his team ranks 17th in hits per game with 8.53. In terms of team defense, the Athletics have a fielding percentage of .978 with 96 total errors, 1,177 assists and 3,150 put outs. Over the course of this season, the Orioles have accumlated 45 errors while having 1106 assists and 3,048 put outs leading to a .989 fielding percentage.